In Jersey we’ve had some extremely cold temperatures lately. Like -5°, feels like -70°. Ok not that cold, but with all the talk…. and the kids missing school because it’s “too cold” and these crazy weathermen terms like “Hercules” and “Polar Vortex”and people doing “fun” science experiments throwing boiling hot water into oncoming polar vortex wind gusts….giving themselves 3rd degree burns on their faces….one would think the entire U.S.A turned North Pole. Well it’s not THAT cold, but it’s cold enough to keep me in the kitchen and not anywhere near the outside. So last night I decided we need soup. 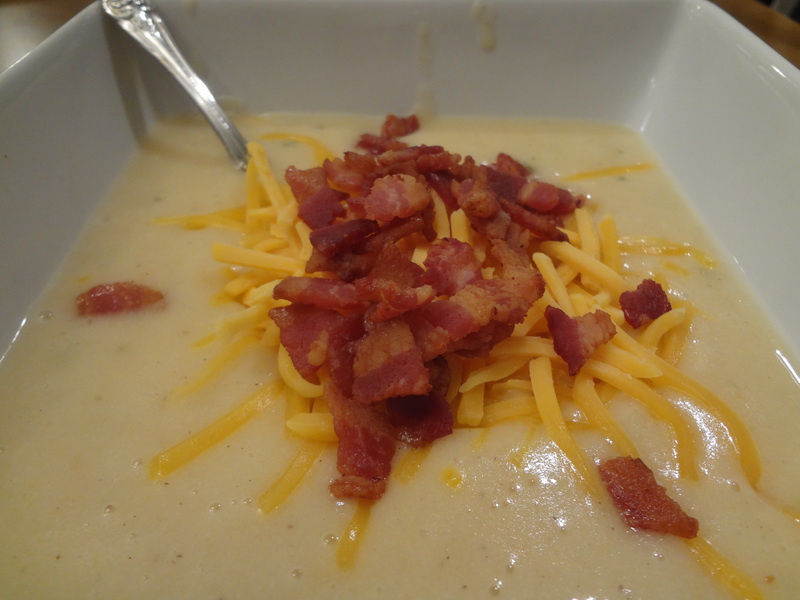 I set out to see what I had on hand and what kind of soup I wanted to make and decided on Potato Soup. I found a bunch of different recipes……and kinda mashed them all together to create my own yummy soup! It was the perfect dinner for a cold night (inside). HA! We really enjoyed it and I hope you do too!!! 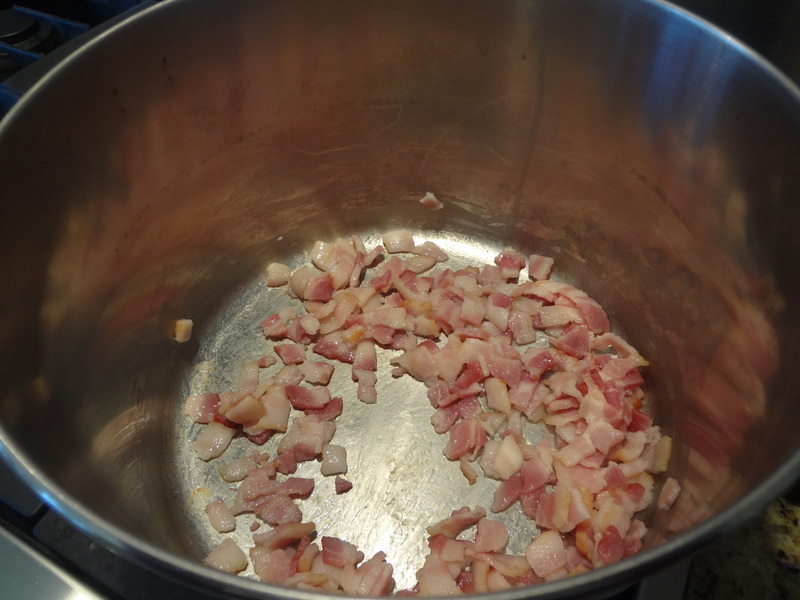 In a large soup pot cook bacon until nice and crispy. Remove bacon from pot and put aside. Discard most of the oil — leaving a small amount in pot. 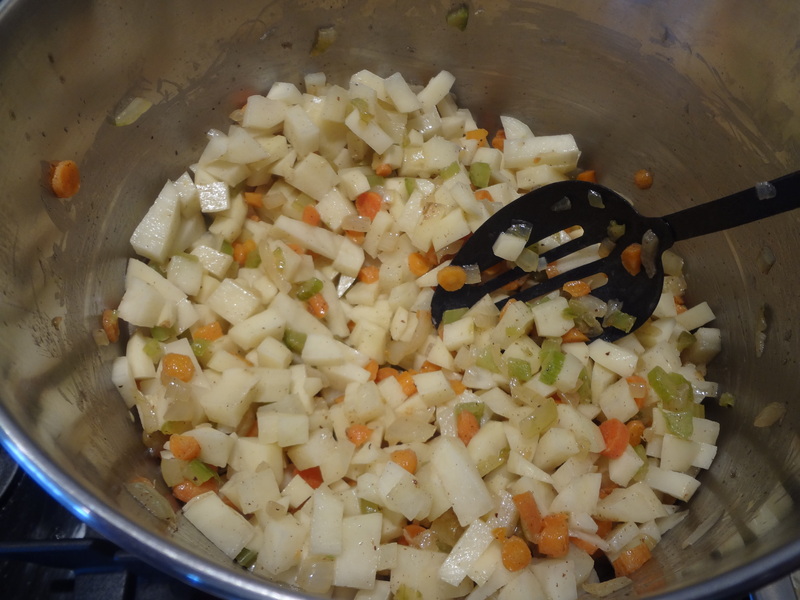 Add onions, celery and carrots and cook on medium heat until veggies are tender (approx. 5-7 minutes). Add diced potatoes and cook for another 8 minutes. Cook for 10 minutes on a gentle boil/simmer and until potatoes are tender. In a seperate bowl, mix together milk and flour, removing lumps and pour into soup. Cook for another 5-10 minutes –stirring often. 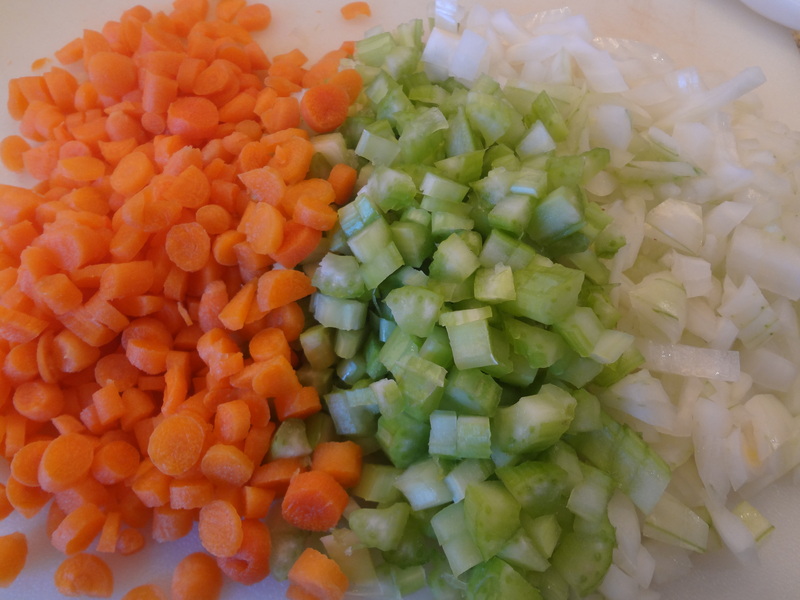 Remove soup in batches and puree in a blender until all is completely smooth. Add all soup back to the pot and add heavy cream, stir and heat it just for another few minutes. Spoon into bowls and garnish with bacon pieces and shredded cheese.